CHICAGO, Ill., July 31, 2018 – “On my knees I beg you to turn away from the paths of violence and return to the ways of peace”. 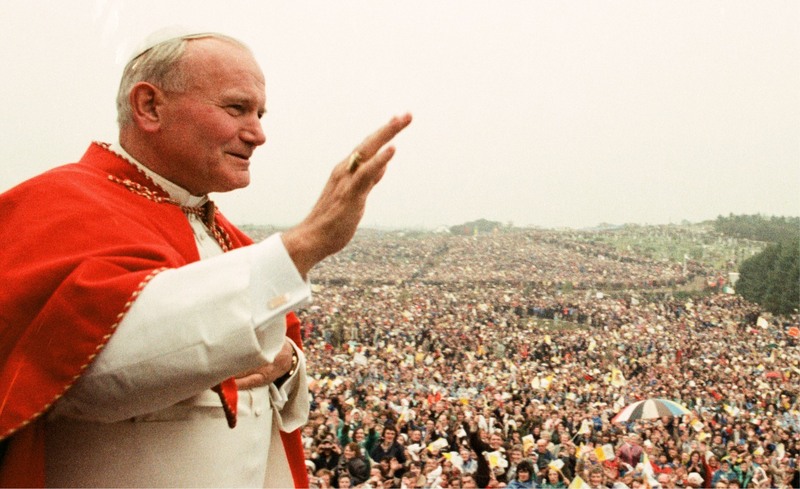 Spoken by the late John Paul II, September 29, 1979, at Drogheda, Ireland in front of a quarter million people, these words changed the course of history and effectively propelled the Irish forward on their path toward peace. 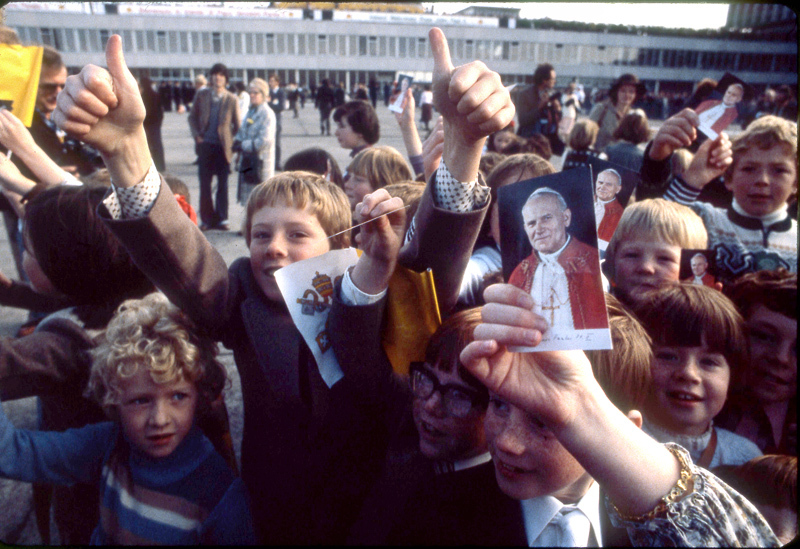 This is the compelling claim at the heart of a new feature-length documentary, John Paul II in Ireland: A Plea for Peace, that premieres this summer on public television across the United States. Narrated by Jim Caviezel (The Passion of Christ, The Count of Monte Cristo), with original music by composer Joe Kraemer (Mission Impossible: Rogue Nation, Jack Reacher) and written and directed by Emmy Award-winner David Naglieri, the documentary dives deep into John Paul II’s historic three-day trip to Ireland, September 29 to October 1, 1979, at a time when the country was a decade into the Troubles, a violent struggle between the IRA and British State Security forces over control of Northern Ireland. Remarkably, by the end of the short visit, a third of the entire population of Ireland had turned out to see the pope. Inspirational and charismatic throughout the voyage, it is his words at Drogheda, a plea from the heart, that many believe helped to silently kick-start the process that would eventually end years of bloodshed and animosity with the signing of the Good Friday Agreement, in 1998, some 19 years after his speech. 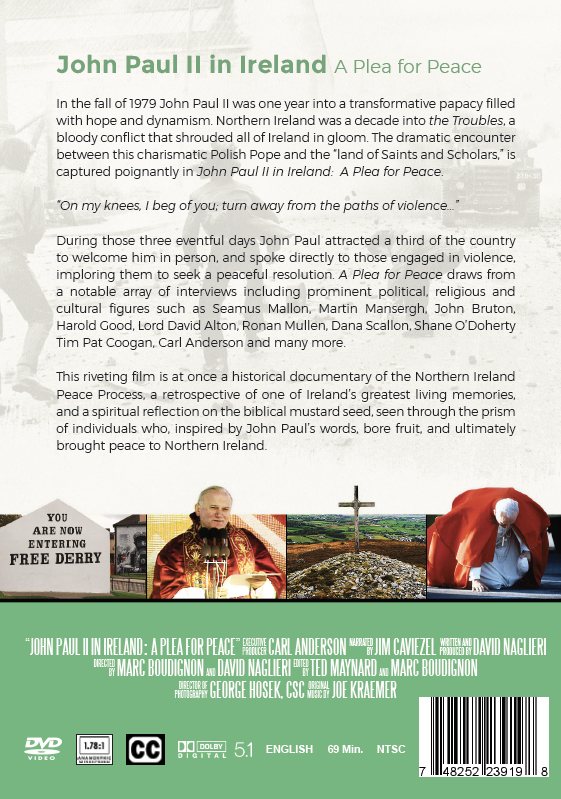 The film explores how these words helped to decisively break the link between the IRA and Catholic Church in the eyes of many Protestants, and emboldened politicians and peace activists to search for an alternative to the violence. The film features interviews with many prominent political and social figures including, Seamus Mallon, Martin Mansergh, Rev. Harold Good, Lord David Alton and former IRA bomber Shane O'Doherty who recount the pivotal moments leading up to the Northern Ireland Peace Process. The documentary also unveils new archival evidence detailing the hidden role John Paul II played in serving as a catalyst to the secret talks between opposition leaders that laid the groundwork for peace. Presented nationally by WTTW Chicago and distributed by National Educational Telecommunications Association (NETA), the documentary airs on public television in markets across the United States. 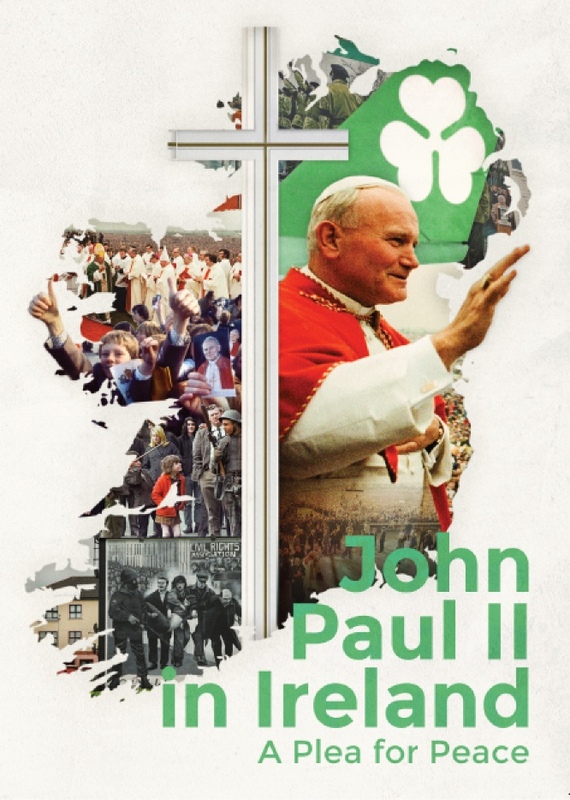 For the complete schedule of airings, additional information or to view the trailer or purchase a DVD, visit jp2inireland.com.